13" Long x 1-1/4" Proj. 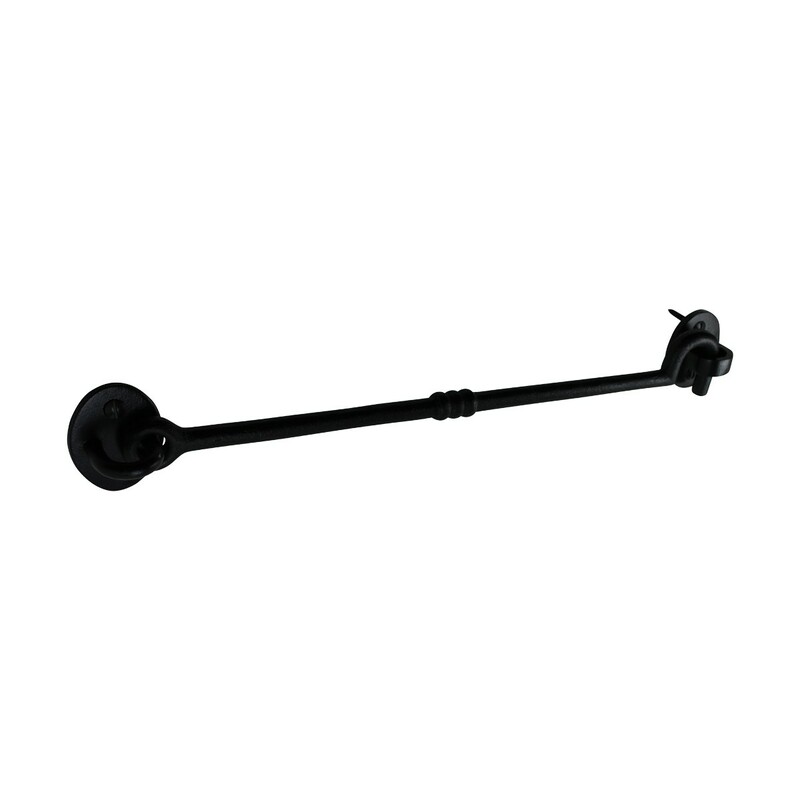 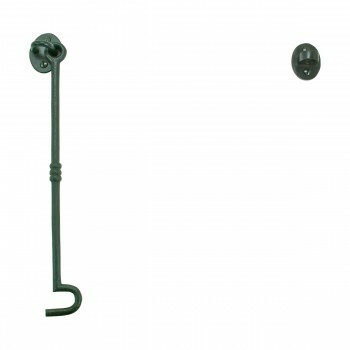 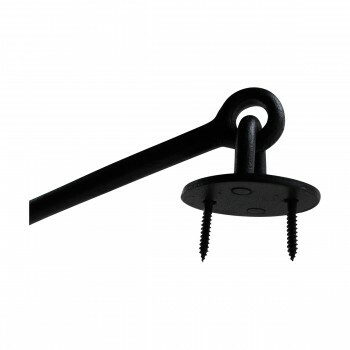 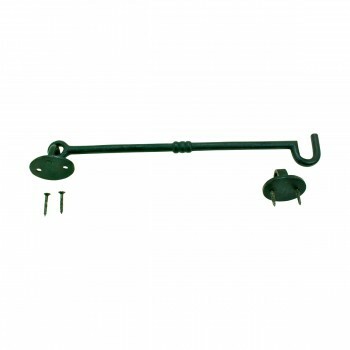 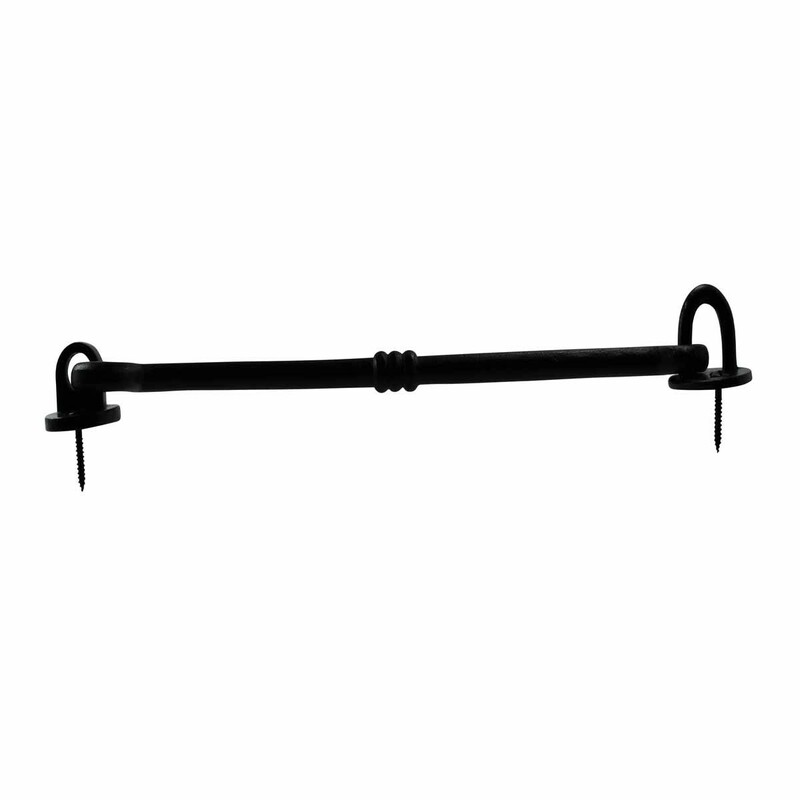 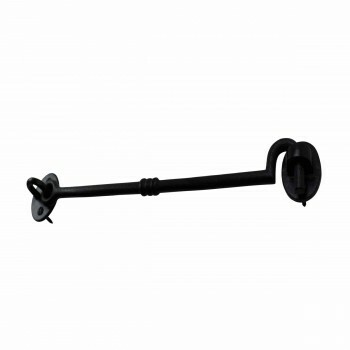 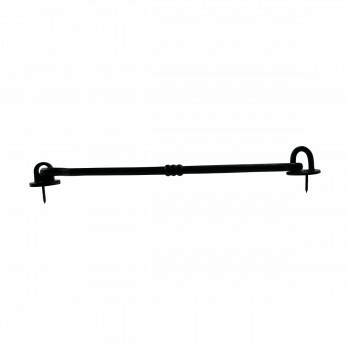 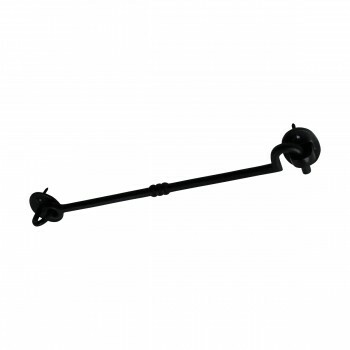 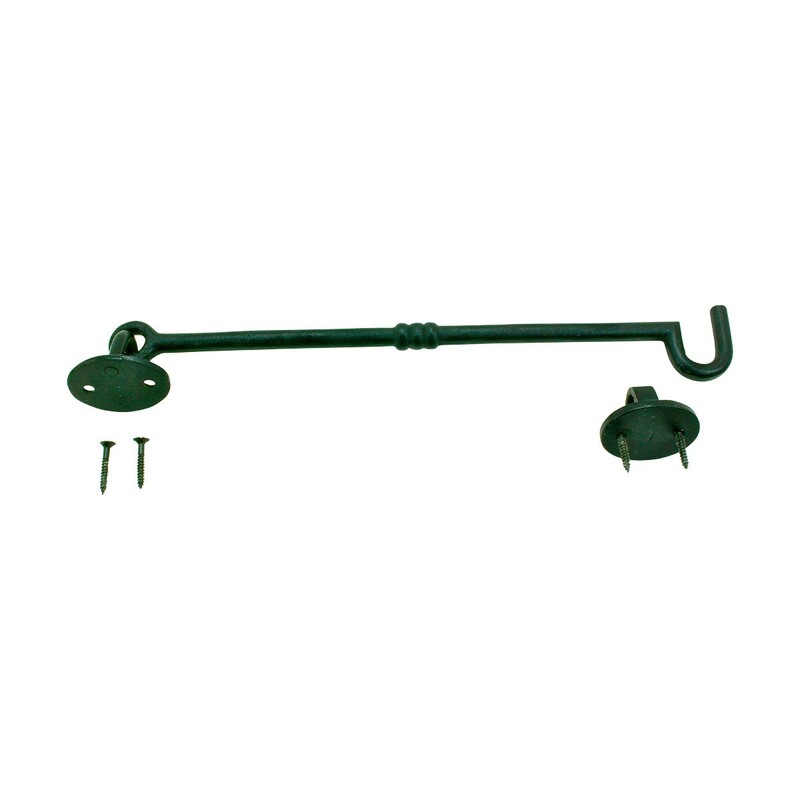 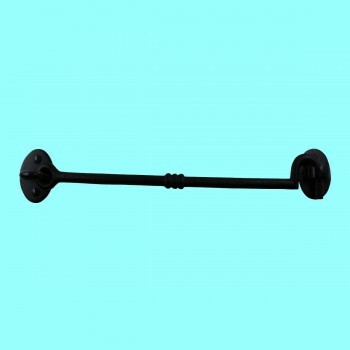 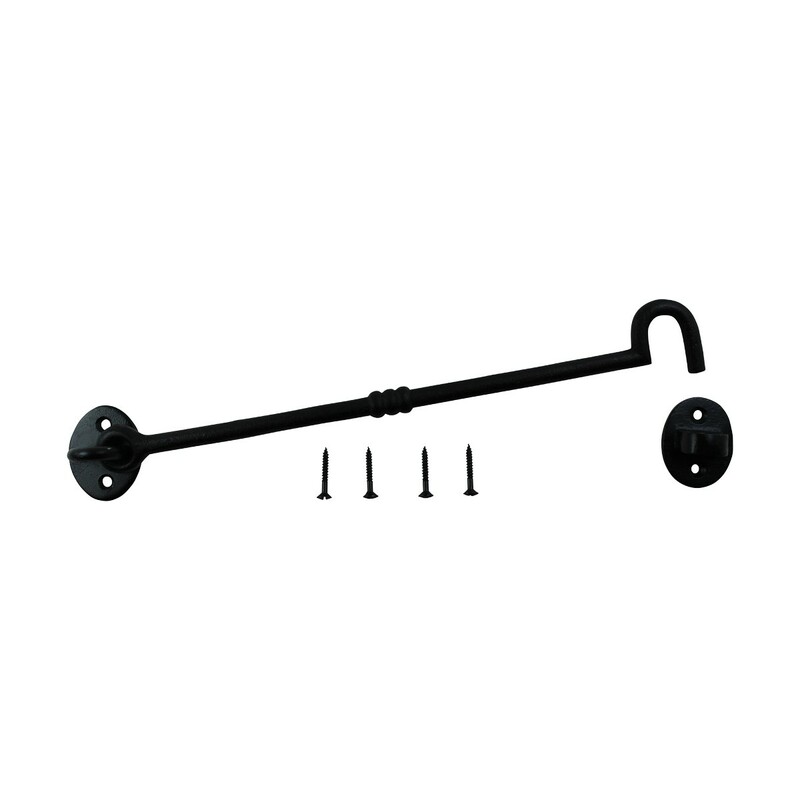 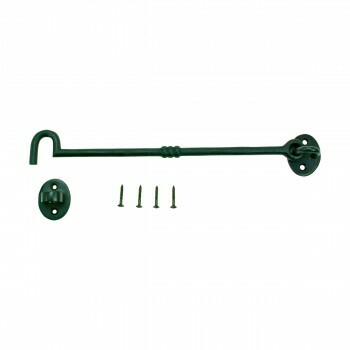 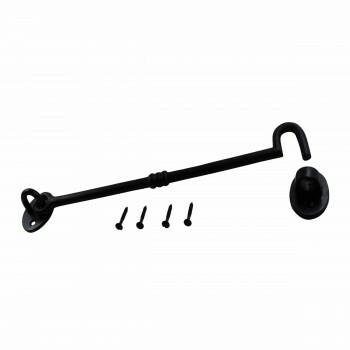 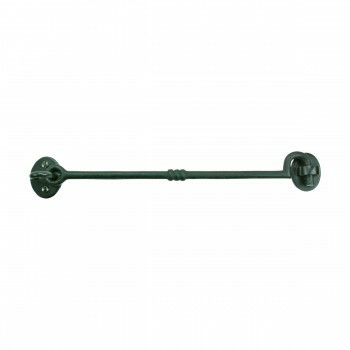 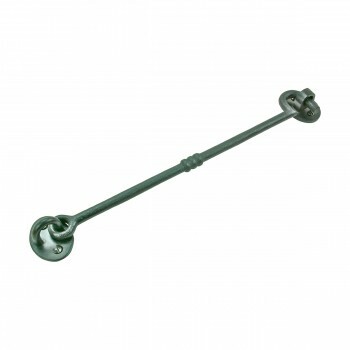 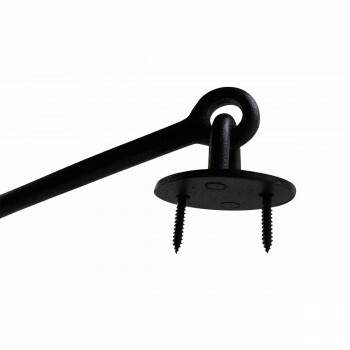 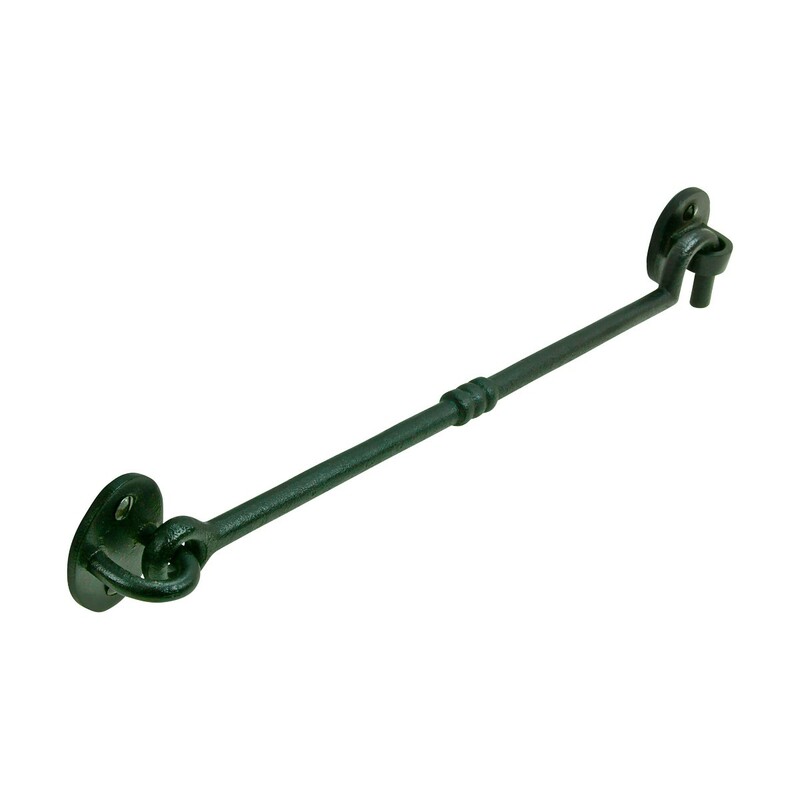 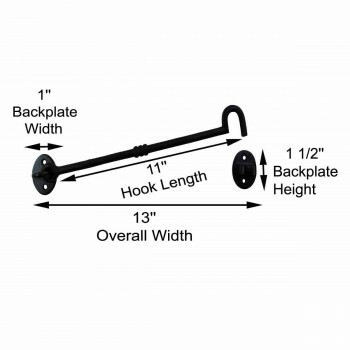 This wrought iron cabinet hook from Renovator’s Supply is perfect for keeping doors closed when they should be. 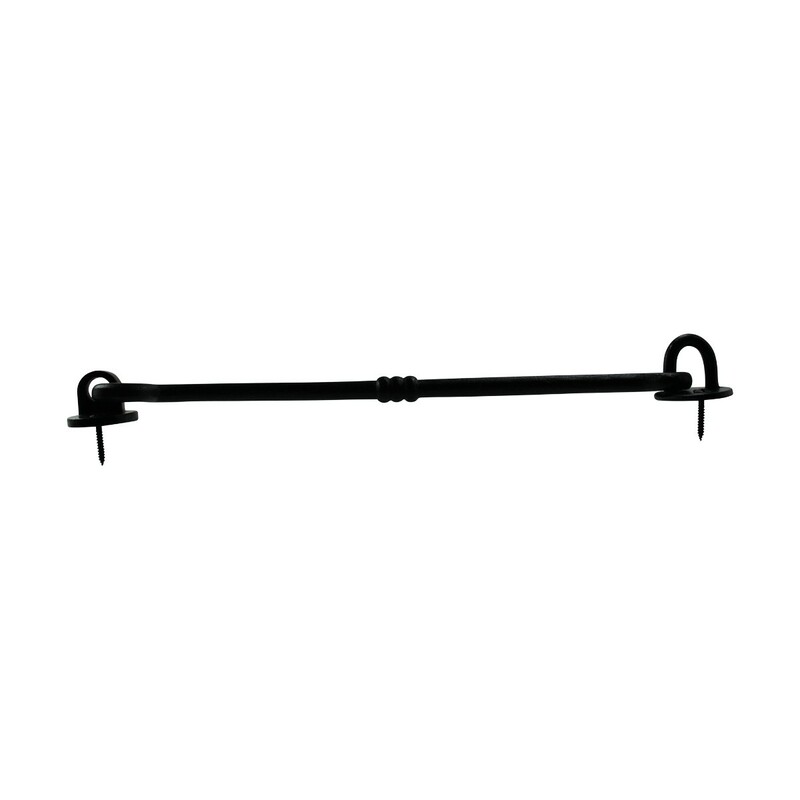 - OVERALL: 13" Long x 1-1/4" Proj. 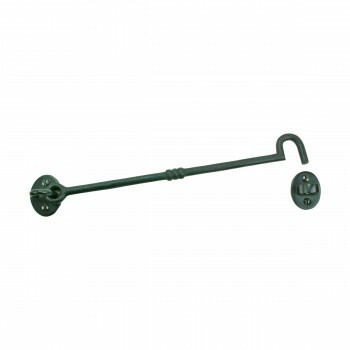 These wrought iron hooks worked perfectly to hold open our new” swing out” french doors.... Not only do they hold in place our doors but they also look awesome. 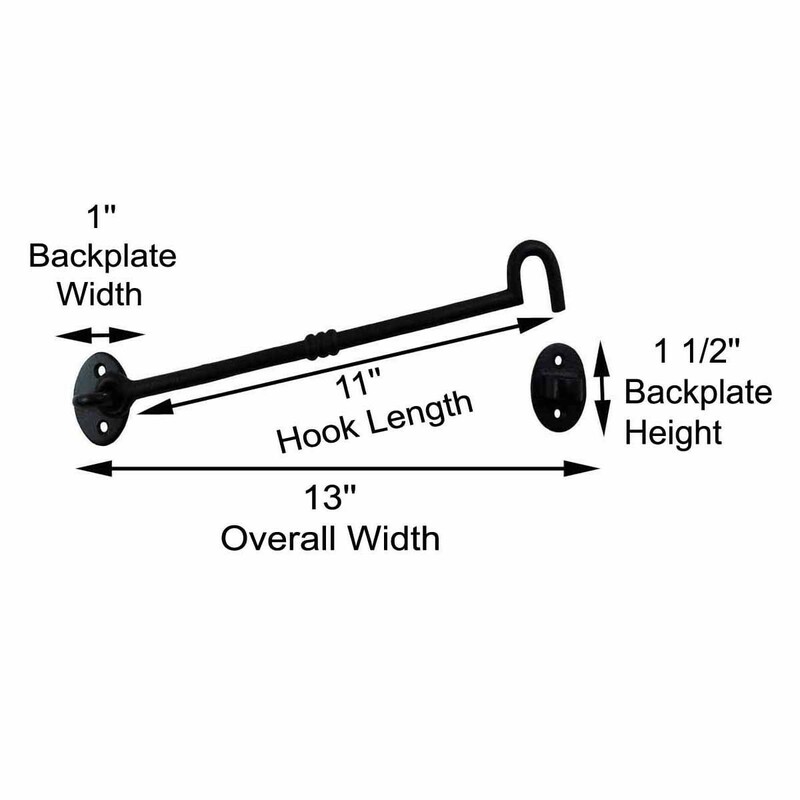 Very sturdy yet pleasing to the eye.